Devin Dawson’s show could’ve been set in the 90s. 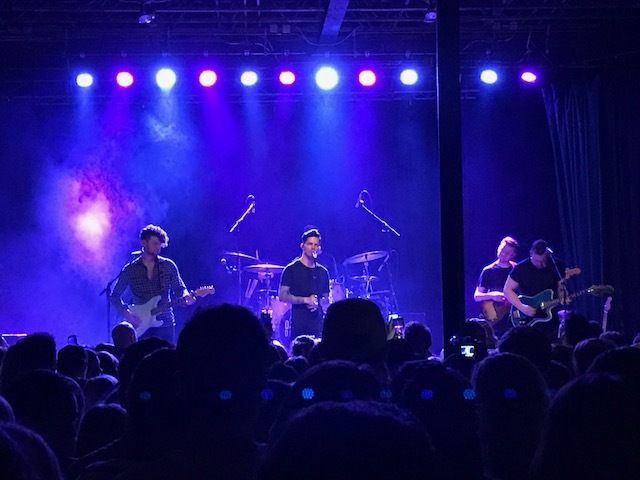 We’ve all gotten used to the faint blue light of cell phones dotting the crowd at shows: texting, uploading to Instagram, and taking photos have become common activities instead of paying attention to the music. This was not the case at Exit/In on March 29. Dawson commanded the stage with such authority and gravitas that every single audience member was fully invested emotionally, physically, and mentally. We hung onto every note as long as we could. Dawson dressed in his signature all-black attire and favored a black acoustic guitar, which added a layer of texture against his band’s electric guitars. He fired out song after song from Dark Horse with incredible passion, showing just as much fervor for the quieter, sweeter songs as the hard hitting rock songs and blues jams. The emotions ran all across the board, just like the album. Songs like “I Don’t Care Who Sees,” “All on Me” and “Second to Last” had everyone dancing, while “Dark Horse” and “I Don’t Trust Myself With You” brought out a reflective side. The band packed intense energy into “Secondhand Hurt,” “Prison” and “Symptoms” – it seemed as if the roof could blow off the building. One of the most thrilling moments came when Dawson abruptly announced that his next single will be “Asking for a Friend,” a sweet and creatively-written song that achieves what country music does best: telling a good story. “Country music is how I learned to write songs and tell stories,” Dawson said from the stage, citing artists like George Strait, Clint Black, and Alan Jackson as his top influences. Devin Dawson is an artist who takes his talent to the next level at a live show. The true glory of his artistry is dynamicism, and nothing shows that more than a live performance. This might be his first sold-out Nashville show, but this is only the beginning.